We do everything from changing light bulbs in hard-to-reach areas to building additions. 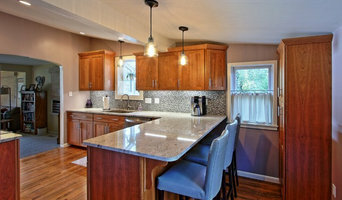 We specialize in kitchen & bathroom remodeling in Harrisburg and the surrounding Capital area. At Re-Bath, we believe everyone should have a bathroom they love. That’s why we do it all, from fresh tub and shower updates to smart, safe aging and accessibility solutions, and complete bathroom remodels. Inch by Inch Construction, Inc.
Our mission is to reduce your stress by providing an easy and enjoyable experience. We will focus on you and your specific needs. We will build your project on time, on budget and to your satisfaction. We will value our relationship with you before, during and after the project is completed. We want you to be a client for life. 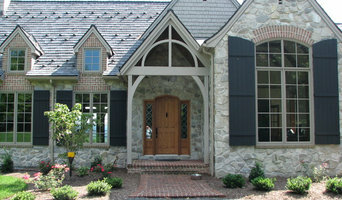 Bolger Design + Remodeling has been remodeling the West Shore area since 1987. We have built our business by providing smart solutions and top quality work at an affordable price. Our BBB Accredited Business Rating is "A+" Our Process: 1.) Contact us for our Free Consultation about your project. 2.) In Home Consultation: Brian Bolger, owner and lead contractor will meet with you at your home for a full discussion of your needs, your budget, project feasibility, and present an overview of what Bolger Design + Remodeling can do for you. 3.) Planning & Design: Meet with us at our showroom to review plans and be presented with a written proposal including price. 4.) Finalizing Plans: The contract for your project is finalized and signed. Bolger Design + Remodeling expedites all necessary preparations and paperwork to obtain building permits to fully comply with local codes and building ordinances. We’ll introduce you to the Bolger Design + Remodeling crew. 5.) Project Construction: Brian will supervise the crew and coordinate any trades to be used on the job. Contact Brian right away if you have any concerns at any time during this process. Our crew is trained to maintain a super clean job site and will take the utmost care to be an unobtrusive as possible while working in your home. 6.) Project Completion & Satisfaction Survey: We will take photos of the finished work and provide you with a Client Satisfaction Survey. We appreciate your input, which will be of great value in assisting us to maintain our high quality and customer satisfaction standards. Time to enjoy your new space! We hear all too often that life is too busy and your home is too valuable to keep up with on your own. That is where we come in. Handyman Matters can handle simple home projects and repairs, as well as larger, more complex improvement projects. We do it all! Our Professional Craftsmen are skilled and experienced, assuring you of a job well done. Our commitment to you, the customer, is at the core of who we are. We know how important your home is to you and we want to be your home ally. Our Pledge to you is simple. We will treat your home “like it’s our home.” We do everything from changing light bulbs in hard-to-reach areas to building additions. We specialize in Kitchen & Bathroom Remodeling in Harrisburg and the surrounding Capital Area. We offer in-house design services for your remodeling projects and we still take care of all of those small jobs, too. 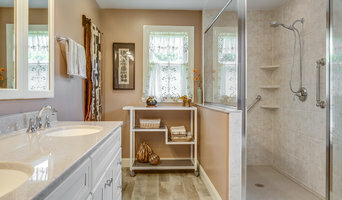 McLaughlin Tile is a highly recommended bathroom designer and ceramic tile specialist with over 20 years of experience designing and remodeling baths of distinction in the Greater Harrisburg, PA area. We are experts with ceramic tile design and installation. RF Hager Construction, LLC was founded in 1986 by Robert F. Hager, CGR (Certified Graduate Remodelor). He apprenticed under Duane Hamme of the former H. L. Hamme and Sons, Inc. who built a legacy of custom homes, estates, churches and schools. Rob’s background is vast with training as a pattern maker and designer. Prior to starting his own business, he had worked for his father in a commercial coatings and insulation business managing crews. In the off-season he managed ski schools in Colorado and Vermont. Brenda Hager joined the company in 1997 after 18 years in the insurance industry. Her business and sales background were a perfect combination with his construction knowledge to expand RF Hager Construction. Brenda has a gift for combining colors and textures to help bring about a professionally finished project. They have always had a team approach which includes a number of long-term, highly skilled carpenters who are an intricate part of the team. 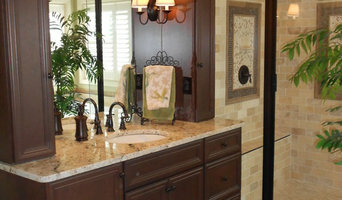 Remodel Lancaster is a full service provider of all your remodeling and contracting needs. We are intent on giving you the personalized space for your home or your business that you need and desire, from the simple to the lavish. We are dedicated to your project and with 30 years of experience we have the qualities to work with you step by step. Serving Lancaster PA and surrounding areas. A full service Remodeling company. You name it we can do it. From designing and installing your kitchen or bath to your exterior landscape, patio or outdoor living space and much more. Taylor Made Custom Contracting Inc. Respect, communication, and conscientiousness are the key elements that have allowed our family-owned remodeling company to serve thousands of customers in the Greater Baltimore area since 1990. We at Taylor Made Custom Contracting, hand-pick our staff with only polite, kind people who genuinely treat our clients, their family members, and pets with the utmost respect. All our clients have direct communication with the owner, providing the opportunity to discuss progress, present ideas and ask questions throughout the entire process. As a full-service design/build remodeling contractor, we work in all facets of the home but especially enjoy renovating bathrooms, kitchens, additions and helping our veterans and aging-in-place clients. With over 175 reviews, winning the Angie’s List Super Service Award in 2010-2017, the Best of Houzz Award in 2017-2018 plus maintaining an A+ rating with the Better Business Bureau, shows we really want you to have a pleasant remodeling experience. If you are in search of a functionally designed beautiful new space with a lifetime workmanship warranty, give us the opportunity to show you today.